EUREKA — Grainland Cooperative in Eureka will be fully operational by harvest of 2019, according to general manager Jeff Brooks. 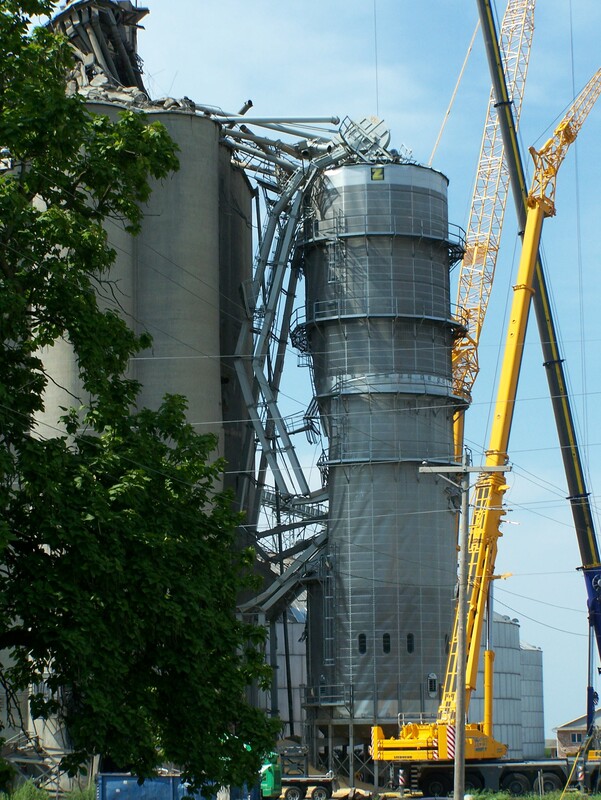 The Woodford County facility was heavily damaged in an early August explosion of unknown origin, but has been accepting grain on a limited basis during the current harvest. No one was present at the co-op when the early morning blast occurred. “The explosion destroyed our main house and that has been totally demolished. Our annex was salvageable, so we are in the process of getting it repaired, so it is going to stay. We had a construction project in place that we were going to do this summer anyway, putting some new dump pits in and things of that nature, so we are proceeding with that,” Brooks said last week. 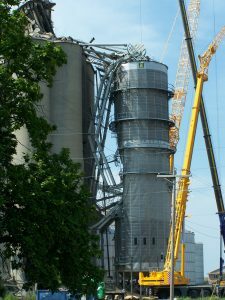 So far, the facility has been able to accept all of the grain farmers have brought in from the current harvest. “We were a little late in being able to get started to accept all that corn and get our dryer running, but of course Mother Nature helped take care of that by drying the corn down pretty good in September for us. We had a few days where we had some lines and it was a little slow getting through, but for the most part we’ve moved it along quite well,” said Brooks. BLOOMINGTON — The Illinois Farm Bureau joined with more than 60 livestock organizations to call for changes to the hours of service regulations to which a commercial truck operator must adhere. Current rules limit driving time to 11 hours per day, with a 14-hour on-duty limit. Groups including the National Cattlemen’s Beef Association and Livestock Marketing Association are calling for an increase to 15 hours of driving time and 16-hour shifts. Overall, the official NOAA outlook indicates the northern third of the state has a slightly increased chance of a warmer-than-normal winter, while the remainder of the state has an even chance of above, below and near-average winter temperatures and precipitation. “Not much to report for Illinois,” Angel said in his weekly weather blog from the Prairie Research Institute. GOREVILLE — Three Illinois premier high school FFA chapters are in Indianapolis this week competing for top honors in four prestigious FFA national finalist awards. Located in far southern Illinois, Goreville FFA is among the top 10 nominees for 2018 group projects in the “Growing Leaders” and “Building Communities” areas, and is also a “Model of Excellence” national finalist. Other Illinois chapters included among the 45 top 10 national finalists competing this week are the Tri-Point FFA and Waterloo FFA high school chapters. Good luck!